As the mine was vacated it is not possible to confirm identification. 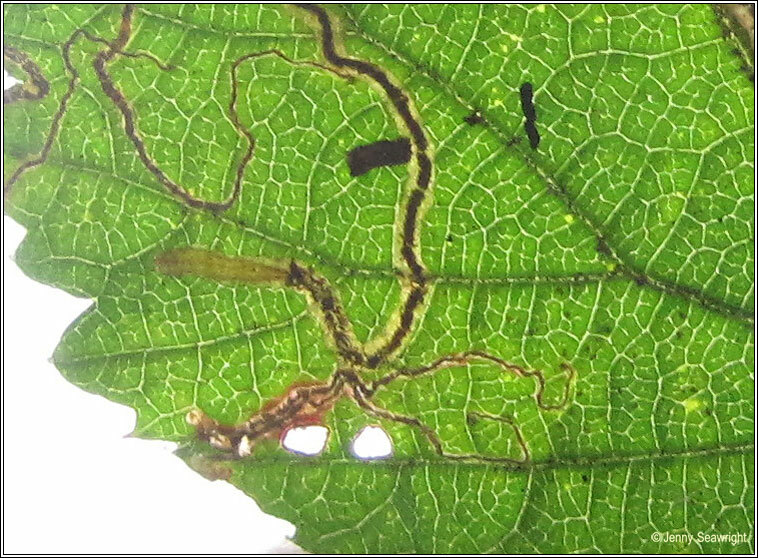 Leaf mine photographs on Bramble, Rubus fruticosus agg. August 2011. 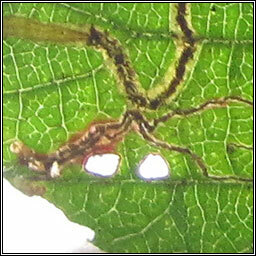 Egg on upperside of leaf. The mine is a very short corridor with a central line of irregularly interupted frass.